A few weeks ago I was contacted by Motorola. They asked if I was willing to do some product testing on a new training device they are offering and then write my impressions of it on my blog. I agreed and they shipped the device out to me which was received within a couple of days. It is an interesting device which records a surprising amount of data, that can then be uploaded later for analysis. It can track via GPS, your speed, elevation and plot your track! Then with other inputs such as a heart rate monitor and cadence sensor it can give you much more data to analyze including calories burned. 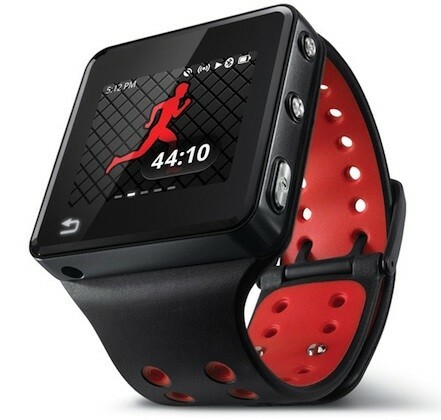 If that wasn’t enough it is also an MP3 player which will not only hold 6GB or so of music or podcasts but it will compare your performance to your favorite workout tunes and tell you which you perform the best to! Now, I am not much of a tech geek when it comes to my riding but this device seemed interesting to me. I think the MP3 player was the main attraction for me but as an aging cyclist I was also interested in looking at my heart-rate as well as my caloric burn rate. I thought that I would give the device a chance and see what it could do for me. At first glance, the device is very slick. It has a touch screen interface as well as a few input buttons. It can connect directly to your computer via a USB cable but also (apparently) has bluetooth connectivity as well. It did not come with a heart-rate monitor so I had to purchase that extra. I am not interested in cadence data so I did not purchase that sensor. For the MP3 player a mini stereo jack provides the output for the included earphones. It also comes with a variety of different mounts which allow you to clip it on, mount to your bike or wear on your wrist. The first step is to install the software on your computer. The source seems to be the firmware on the device which initiates the process, there was no disk included. Then you must create an online account at the MotoActv website. It all went well, to a point, at which there seemed to be a problem. I got an error message that indicated my MotoActv device could not interface with the website. The problem seemed to somewhere in the settings which would not allow the device to communicate with the Motorola website. After about an hour on Motorola’s support phone line the tech came to the conclusion that a relatively simple setting needed to be made which solved the problem. This was only after exhausting issues with firewall and the security software, none of which were the problem! It seems to me that this should be something covered in the setup. I have the most current MS operating system on my computer so it is a little confusing to me that the device could not handle the setup automatically. I am pretty computer capable, but it seems that it took more of a tech-geek mentatality to do the setup for this device. That was my first red flag! Once the software was installed, things went pretty smoothly. I was able to Sync my music to the device and starting a workout was pretty simple. Within a short time I had 4 or 5 workouts logged and I felt like I was on my way. I could start to look at my data and see the results on the website. It was all starting to look very slick so I thought I would add the software to another computer so that I could access the data when I travel. This was a new computer, only days old when I tried to add the MotoActv software. Again, I got error messages when I tried to install the software and there was no online resource to help me sort it out. After another hour and a half on the phone with tech support the problem was finally solved. What bothered me though was that it seemed to be an entirely different problem than I experienced on my other computer1 I can’t really say what the issue was but it required giving tech support online control of my computer so that they could detect and fix the issue. I watched them open and close windows and change settings which was a little un-nerving. I don’t really know what they did and I learned nothing about preventing the issue! This was my next red flag! At this point I think I can summarize my experience by saying that the device is very cool and so far seems to be a useful training tool for me. The supporting software however is horrible. It is virtually impossible to install without assistance. The available help resources, including the help link and the forums did not provide any answers for me either. The forums link seems to indicate that there are many other problems that users seem to experience since there are many topics on a wide range of problems with the device. The MotoActv unit updates each time it is connected to the computer so I am hopeful that some of these issues may be resolved but my tolerance for glitchy gadgets and software is quite low. I will have to keep you posted on how things go from here. I will do a periodic update if any issues arise or if other conclusions about the device are formed. 5/7/12 I have noticed the battery life appears to be a little limited. After a 4 hour or so ride recently the battery indicator read 30% remaining. There is sometimes a “run-in” period for new batteries so I will wait and see, but if this is true then this device would have its limitations for cycling events. Distances as short as 100 miles might be more than the battery could support. 5/8/12 Another issue that is developing for me is the ability to easily switch bike profiles from Road to Mountain. It seems that to switch, you must go into the “settings” screen and change your default bicycle. I switch bikes all the time so the inability to change bike profiles easily is an annoyance. 5/13/12 On today’s workout I was planning to ride a local 42 mile loop. I turned the device on and then went outside, under a clear sky, no obstructions it would not find any satellites. I tried again, another 4 minute attempt with no result. Then one more time, again nada! I had about decided to forget the GPS just use the MP3 player and go do my ride when I thought I would try to power off again and restart the device. After restarting and attempting one more time it did find satellites and was good to go. The downside it that it took almost 20 minutes to get the MotoActv set to go. This is kind of a “Pain in the @$$” and if it keeps happening I will be very disappointed. My expectation for this device is that it be as trouble-free as a normal bike computer. If I was riding with a group no-one would or should tolerate this kind of problem. When it is time to ride, it is time to ride! 5/22/12 I have pretty much given up using this thing on mountain bike rides. The cumbersome method of switching back and forth between bikes has me sometimes having it in the wrong bike mode when I start riding. I dont want to have to go through any more steps than necessary to get started on a ride. The data aquired on a mountain doesn’t seem to compare accurately to a road ride as far as calories burned goes. 5/31/12 Discovered a new quirk today, on a 40 mile road ride the device started counting laps. I was doing one large loop and it would periodically say “starting lap two” or “starting lap three” kind of randomly. It was not consistent with time or mileage and I was not repeating any of the route. I’ll try and figure it out! 6/10/12 Todays glitch was that the device would not upload todays workout data. The workout is on the device and I can read the details there but it will not show up in the online training center. I rebooted the device and checked for updates but no luck, another disappointment! If the device will not reliably record a workout or it cannot be depended on to function smoothly then it has little value. I am beginning to come to the conclusion that this device is cute and clever but is also glitchy and a little cumbersome to use. I will continue my testing for the time being however. 6/13/12 After several days a trying to upload my most recent workout I still have had no success. The online software shows my workout from a week ago as my most recent. The 3 newer workouts will not seem to upload! It appears that for some reason the device does not want to connect with the online database. The last time this occurred it was during the set-up and it took 2 hours of tech support to resolve it. I am not willing to go through that again. If the device somehow decides that it does not want to cannect then that is it for me, I will not waste any further time with it! 6/14/12 Have sent a couple of emails to Motorola over the last couple of days about the issues. No response yet. Email tech support is poor or non-existant! 6/19/12 Never got a response from my inquiries to tech support, but I did get a survey asking me how they did. Really!!! I’m not sure that they liked my response. 6/28/12 Something new today, the language default switched to Spanish somehow. This is a menu area that I have never used since I set the device up initially. 6/30/12 Okay, trying not to be too negative here, I finally set up the bluetooth link to my android phone whic allows me to take calls when I am riding. I like it and it seems to work well except in higher wind speeds. 7/8/12 The workout tips are still coming in spanish but the setting is clearly in english. There appears to be no way to change this. I will wait for a future software update, perhaps that will allow it to change. 7/12/12 Okay, now we are back to the most recent workout not uploading from the device. All data from todays workout is available on the unit but will not upload. Previously when this happened the data did eventually upload a week later or so. Not convenient. 7/30/12 Several problems discussed above have reoccured several times now. This is both disappointing and frustrating. 8/19/12 During a century ride today the battery died at about mile 80. I did not use the MP3 player at all during the ride to try and save battery life and the battery was fully charged at the start. This for me severly limits the devices usefulness since many of my rides are in the 100 mile or above distance category. The MotoActv seems to have almost no useful purpose for long distance riding and seems to be limited to the pursuits of a weekend club rider. I may continue to use it as a bike computer on some of my vintage bikes that do not have a computer. That use seems to me to be a little bit below intended use of the device as envisioned by Motorola. 7/15/14 It has been awhile since I have even tried to use this device again. Limited battery life, glitchy performance, a website interface that is near useless and virtually no product support whatsoever made this device of little value to me. I ended up by giving it away to a friend of mine who had one that died, also a bad sign! Today there are more options that so much better. 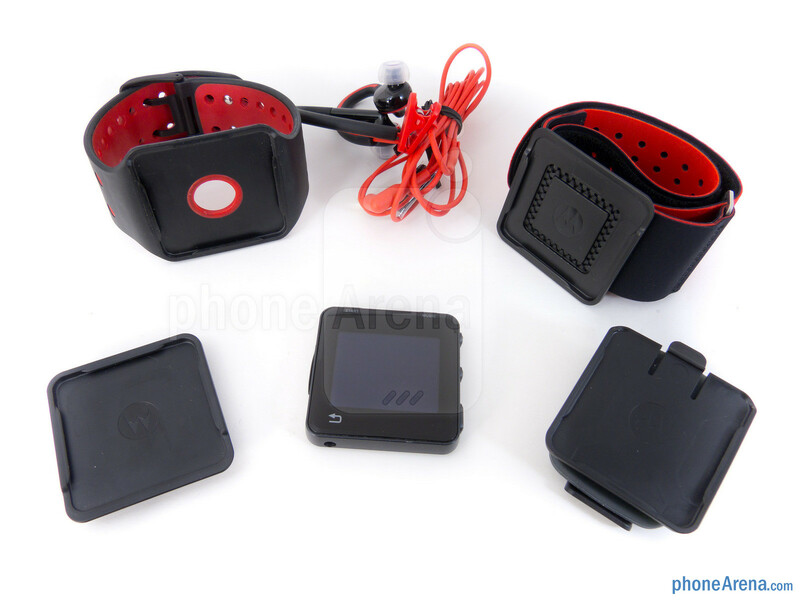 The most promising are cell phone based which use a smart watch type of device to add function. These type of devices will be the wave of the future since they already do all of what the Motoactv does, but also add communication and photo options and do so with excellent functionality. Good bye Motoactv!